Managed by the Parish Council, this website is designed to keep residents updated on village goings-on and to provide information which will be of use and interest to residents and visitors alike. Wisborough Green lies in the northwest corner of West Sussex, astride the A272 east-west main road. The River Arun and its flood plain to the east and the heavily wooded high ground to the west maintain the essentially rural nature of the Parish and its separation from the commercial and residential development in Billingshurst and Petworth. 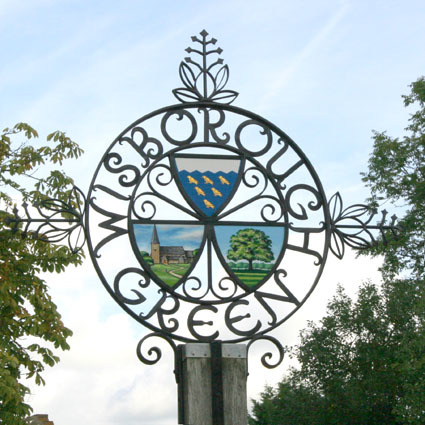 Wisborough Green is a typical English village with a village green, public houses, pond, Church, village shop and Post Office in the centre of the village. Fed up with anti-social driving or parking, or abandoned vehicles? If so, report to Operation Crackdown. Holes in the road or other environmental concerns?